Some 60 percent of all Europeans do not have access to digital health services. EU citizens want EU wide standards for electronic health records and interoperability based on open formats. They also believe that they should be able to manage their own (health) data. These findings and more were published during an EU health conference in Tallinn, earlier in October. 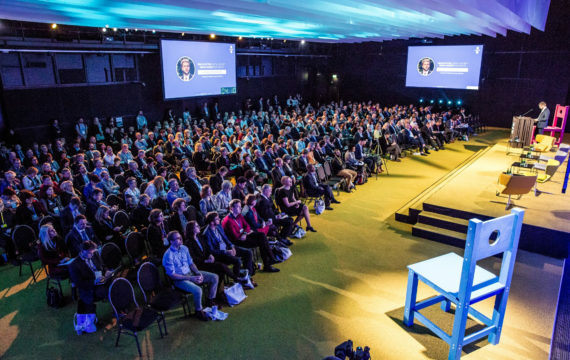 Over 600 digital health experts and policy makers from Europe and across the globe gathered as part of the High-level conference ‘Health in the Digital Society. Digital Society for Health’ in Tallinn on 16-18 October 2017. The preliminary results of the EU public consultation on the future of digital health and care were presented and a Digital Health Society Declaration was announced. According to Khalil Rouhana, Deputy Director-General of DG Connect at the European Commission, it’s vital to create opportunities for digital health and care’: "We want EU citizens to have full access to their health data, this is our ambition." During a live interview (https://youtu.be/KFMVRl2G7ns), Khalil Rouhana discussed what people thought to be the main hurdles in Europe for implementing a digital health system, such as security, safety and privacy breaches. The preliminary results of the public consultation on the ‘Transformation of Health and Care in the Digital Single Market made it clear that EU citizens are asking for (better) access to digital healthcare and health data. Respondents want the EC to take action for EU wide standards for electronic health records and interoperability based on open formats. Estonian Minister for Health and Labour Jevgeni Ossinovski, said during a speech that European countries have made progress in developing eHealth, both in developing health information systems and in introducing digital prescriptions. “But this is not enough to cope with people’s growing expectations and to benefit from digital innovation in healthcare." European Commissioner for Health and Food Safety Vytenis Andriukaitis stressed that the Commission is committed to overcoming barriers to free movement of patients and data. He welcomed that the Estonian Presidency made EU cooperation to support digital health innovation a priority. eHealth as a driver of innovation and economic development. A joint declaration of over 100 European eHealth organisations was announced to accelerate digital innovation in healthcare. The Digital Health Society Declaration calls for concrete steps to develop eHealth in Europe and all stakeholders interested in the future of eHealth are expected to co-endorse it and to join the taskforces working on concrete actions and solutions. The inadequate training of healthcare professionals. Proposing solutions for overcoming these obstacles, the document emphasises the need for unified approaches to the development of data exchange infrastructure, raising people’s awareness of the use of eHealth solutions and implementing the European Union Data Protection Regulation in a way that it does not create unnecessary obstacles to the free flow of data between member states.